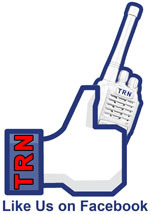 TRN Communications can help you to establish your own communications systems or use our Repeater Systems to get the job done . Build your own system by first finding a location for the base and antenna that is high enough to give you the area coverage that you need. Then you will need to make an application for a license from the FCC, purchase the proper base, antenna and mobile equipment needed. The FCC licensing process is cumbersome. Hiring a company with experience in obtaining your license, FCC fees and and frequency coordinator fees will not doubt add up quickly. To make an already difficult task harder, there is no assurance in this frequency crowded world that you will be granted a license and within an acceptable time frame. Equipment location issues may also be a road block. You may find that the site requires a lease fee and or needs AC power and security. If this is the course you want to pursue we can help you with the process but it will be costly and time consuming. To save money and time you may want to make use of our already established Repeater System. No licensing is required and all that remains is to purchase and install is the mobile equipment that you need. A quick and simple approach to getting the radio communication system you want. Conventional UHF/ VHF Repeaters have provided the backbone for two-way radio systems for decades. Virtually every modern day Public Safety 911 system operates through two-way radio repeater systems. Commercial two-way radio Repeater Service allow any organization to be more productive and efficient by providing a cost effective means of communicating with personnel in the field. Two-way radio repeater system are ideal for many businesses, schools, manufacturing, or anyone that is searching for long range reliable communications that will fit their budget. Unlike cellular phone services, there are no costly per minute airtime charges with two-way Repeater Services. Dispatcher to Fleet, Fleet to Dispatcher is Easy, Fast and Affordable with a Repeater Service and the correct radio equipment. Cell phones are often considered the best way to communicate among your employees. The fact is, Two-Way radio Repeater Service is the better alternative. At just pennys a day per radio, it easily beats out cell phones for cost. And their easy push-to-talk design and one-to-all and one-to-one communication options make it the ideal choice for businesses of all sizes! See the table below for a real comparison of Cell Phones vs Radios. Dial-Ring-Talk = SLOW Push-Talk-Response = FAST! Times are tough and money is tight. You need to save money and have a budget. With Two-Way radios and a Repeater Service service plan you can rest assured your bill for the vital communications you need will be the same cost month to month. With Radio AVL solutions, you are no longer limited to a single,one-size-fits-all proprietary mapping program. Now you’re free to select the third party software mapping solutions that best fit your needs! GPS data signals are “piggybacked” on to voice transmissions with virtually no effect on voice quality. The number of data transmissions is minimized by sophisticated error correction. Icom’s data compression method is fast, up to 10x as fast. Plus, Icom’s technology is smart enough not to waste airtime if the vehicle is not moving. Order pre-installed from Icom Mobile and Portable radios. Here is a Map below showing one of our UHF Repeater Systems ready for your use in minutes around the PA, OH and WV Area.